In the 20th century, Islamic revolutionary movements began to arise in the Middle East. By the 21st century, these revolutionary, and at times militant and violent, movements have become a political and military force on the global stage. In order to better understand the acts of terrorism originating in the Middle East and their impact on the West, Radical Islam: A Historical Perspective's remarkable two-part series examines the rise of radical Islamic movements by tracing the history of this complex and beautiful religion, founded 1,400 years ago on the Arabian peninsula, and following its growth and history to the present day. Program 1: Origins establishes a foundation for understanding not only Islam’s 1400-year dramatic rise to become the world’s fastest-growing religion in the 21st century, but its revolutionary movements. 00:05:31This chapter, Beginnings, includes information on the Prophet Muhammad, Allah, the Quran, also known as the Koran, Mecca, Medina and the Islamic Empire. 00:07:32This chapter, The Fundamental Tenets, includes information on the muezzin, Allah, Islamic Religion, Muslims, the Quran, also known as the Koran, Ulama, Sharia, the Prophet Muhammad, the Sunni-Shia split, the Safavid Empire, and the Ottoman Empire. 00:08:57This chapter, Growth, Spread and Empires, includes information on the Prophet Muhammad, the Arabian Peninsula, the Persian Empire, the Byzantine Empire, Medina, Damascus, Baghdad, the Crusades, the Mongols, the Ottoman or Turkish Empire, and Suleiman the Magnificent. Program 2: Modernization and Middle Eastern Revolutionary Movements investigates the causes behind the rise of militant revolutionary, and often violent, Islamic movements led by radical Muslims. 00:05:28This chapter, Colonization, includes information on the Ottoman Empire, Turkey, Iran, Saudi Arabia, Iraq, Syria, Abd el-Krim, Morocco, Kurds, European powers, colonialism, Middle East, Islamic law and religious law. 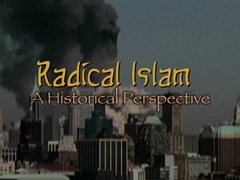 00:07:06This chapter, The Evolution of Radical Islamic Movements, includes information on Political Islam, Islamism, radical groups, the Muslim Brotherhood, the Ba'ath Party and Abdul Nassar, Wahhabism and Mohammad ibn Abd al-Wahhab. 00:11:23This chapter, The Rise of Modern Day Jihadi Movements, includes information on Fundamentalist Islam, Radical Islam or Jihadi Islam, Al Qaeda, Taliban, Afghanistan, Kurds, Iran, Iraq, the Kurdish state, Hamas, Hezbollah, Lebanon, Israel, and ISIS or the Islamic State of Iraq and Syria. 00:03:51This chapter, The Future, includes information on Egypt, Anwar Sadat, Al-Gamaa Al-Islamiya, Islam, non-violent political change, Islamic radicalism and Muslim radicals.